Would you rather choose a “permanent” hair color that stays on longer or something that will wash off in a few days? Depending on your preferences, there are two ways to go if you are pondering giving yourself a new look with a new hair color. A semi-permanent hair color is a straightforward, temporary hair coloring with no extra effects. It is perfect for people looking to color their hair for the first time, or those who don’t want to make any drastic changes. Semi-permanent hair color does not contain ammonia and developer that seep into the hair strands. The hair dye coats the hair and will wash off in about six to twelve shampoos. This is why semi-permanent hair color is also known as a “wash” or “stain”. If you prefer people not noticing the color change, a semi-permanent hair color will do just fine. 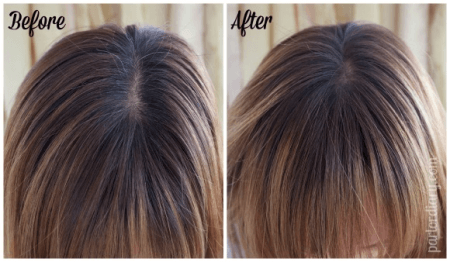 It renders hair with a fresher look by covering up those nasty grays. Semi-permanent hair color won’t really change your hair color, but it can give it a fresh look or a color boost. Demi-permanent hair color can bring out a subtle change on your crowning glory. While this hair coloring mixture does not contain ammonia, it does have a small amount of peroxide. The peroxide content slightly opens the hair cuticle allowing the dye to be absorbed by the hair. Demi-permanent hair color stays on longer and washes off after twelve to twenty-four shampoos. It’s a good way to give your hair a darker shade, but it will not lighten its color. A demi-permanent hair dye is a good darkening solution for gray hair. Avoid using hair conditioners and moisturizing shampoos if you want demi-permanent color to stay on for as long as possible. Wear hair cover when going outdoors and shampoo as infrequently as you can. Tie your hair back when exercising or when doing chores around the house. Getting sweat on your hair may cause the color to wash out quicker. The use of demi-permanent hair color may cause minimal damage because it opens the hair cuticles. This may result in frizzy, dry hair after the application process. So what’s the difference between semi-permanent and demi-permanent hair coloring? 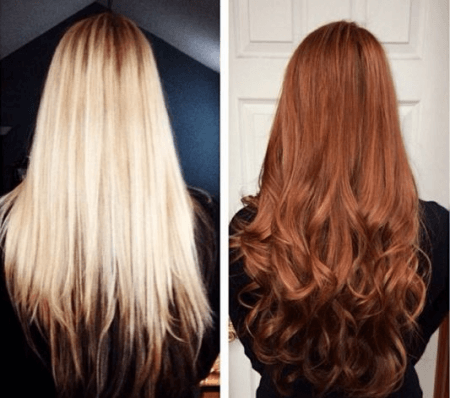 While both hair-coloring techniques are recommended for first timers, a few differences are worth taking note of to get the desired results. Semi-permanent hair color does a great job of covering gray hair and giving it a fresher look. It does not contain ammonia or peroxide. On the other hand, demi-permanent hair coloring is good for darkening hair color. It contains peroxide that helps the hair strands absorb the hair dye for a longer lasting effect. This peroxide content may bring some frizziness and dryness to the hair. Semi-permanent hair color simply coats the hair, thus it washes off easily. Demi-permanent hair color is absorbed by the hair and can stay after several washings and after shampooing. Semi-permanent hair color is recommended for light colored hair, while demi-permanent hair color gives better results for darker gray hair.